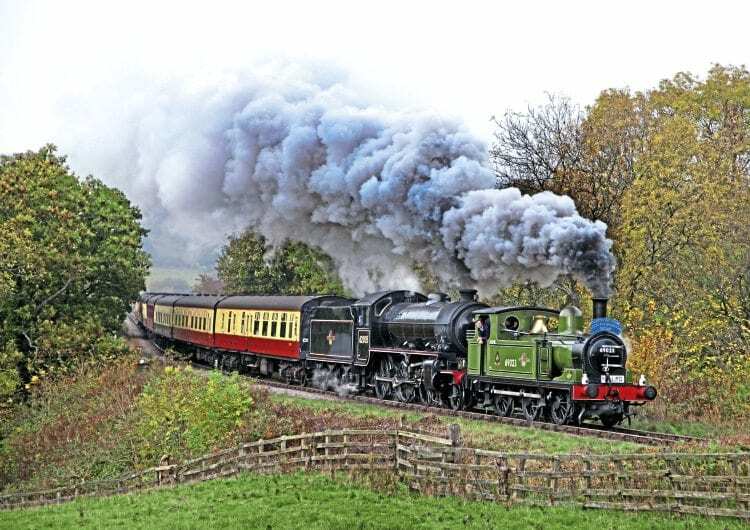 The momentous occasion of celebrating 50 years of the North Eastern Locomotive Preservation Group as a volunteer society was duly marked in fine style over the last weekend of October, following a year of planning. Fifty years on, to the exact day in the exact same room at the Bridge Hotel in Newcastle where the group was formed, members gathered to celebrate; some by buying a pint of Newcastle ‘Brooon’ as they had done all those years ago. In a night full of nostalgia, a birthday cake was cut by six of the members who had been present at the first meeting. It was also appropriately announced that the two remaining founders of the society – Peter Proud and Kevin Gould were to be made vice-presidents of NELPG.